One of the best things about being part of the Adobe family is the enormous community of creators who share resources like Premiere Pro templates. And in this post, we’ve put together 45 of the best free templates for Adobe Premiere Pro CC! You’ll find transitions, titles, logo reveal templates, and more on this list. If you aren’t yet aware of the magic of templates, then prepare to be amazed! A template is a nice neat package of elements that you can drop into your workflow to create a project without having to do all the background work. Sure, these can be created from scratch, but why spend the time and effort doing every video edit yourself? 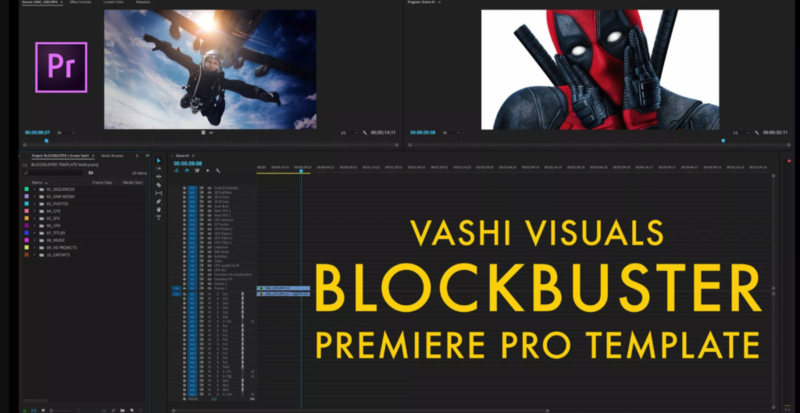 There are amazing free Premiere Pro templates available for you to take advantage of! Sure, you might think using a template is a bit of a cheat, but the fact is, they shorten your editing time, add flair to your work, and bring your video to life. Of course, templates will never take the place of good editing, but they certainly make your life as a video editor easier! 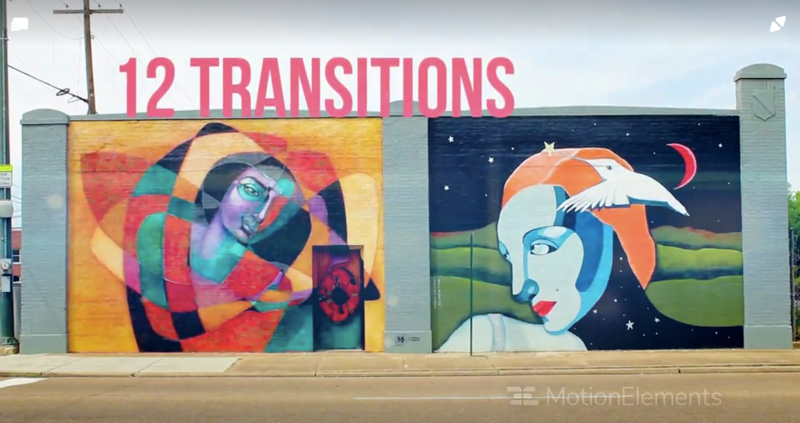 A collection of 14 easy-to-use transitions to add a little something extra to your edit. 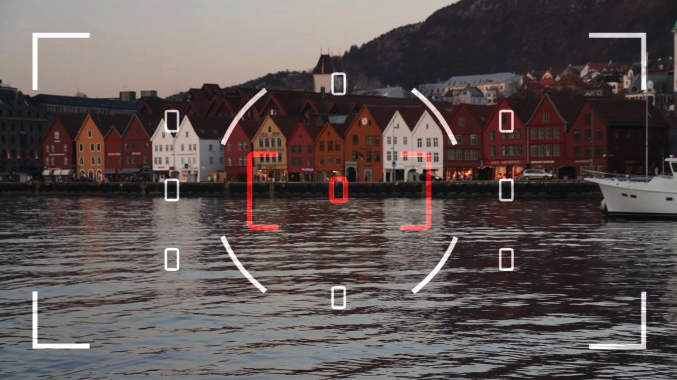 15 stylish transitions that create a blur effect between clips or photos. These can also be applied to titles or logos and features 4k and full HD versions. An elegant, eye-catching set of fluid ink transitions, for your inner artist. Just drag and drop to get editing! 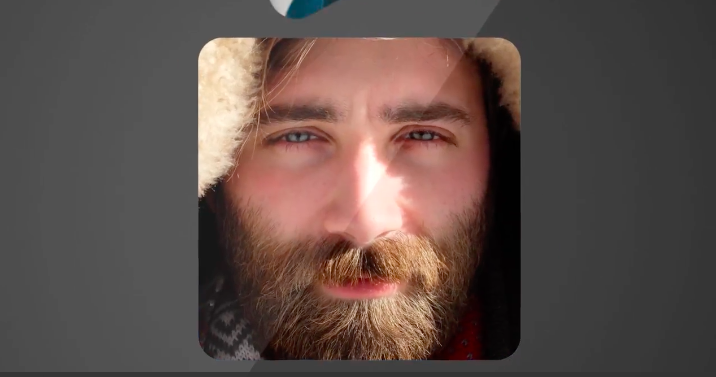 12 fun, glitchy transitions to add some quirk to your vid. This template will amp up the mood in your next project. 15 flashy, dynamic effects to add some pro to your next edit. It’s easy to get started, so what are you waiting for? You can never have too many glitch transitions. Here are 10 unique glitches to add some spice. Add some color to video with these unique, simple, and easy to use transitions. Everything is editable in seconds flat. We also have an in-depth tutorial on how to use Premiere Pro transitions if you’re ready to dive into your edits. Elegant titles for when you’re creating a classy title for someone’s special day. This template is super simple to use, so you can get started right away. For these stylish titles, you may need to download the fonts used. Worth it, though -— they’re bold, funky, and add some pizzazz to your work. 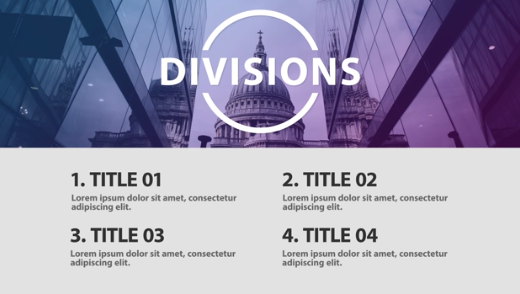 10 easily customizable folding titles to play with and 2 different unfold effects. Available in 4k and full HD versions. These titles are more geared towards advertising, and Videezy offers a wide variety of advanced titles for you to choose from. Lower thirds have never been so easy! Fully customizable, from color to text. A versatile, motion graphics template that is almost unlimited in its customization options! A cool neon light title for those videos that need a bit of a modern flash. Easily switch up the colors for whatever project you’re working on! Bright, artsy titles that are sure to catch the eye. This pack can be upgraded for more customization options. Perfect for highlighting that bit of text in a cute, casual way. Get these 6 different quote designs! Take your edit from amateur to pro with this easy-to-use animated text template. No plugins required! 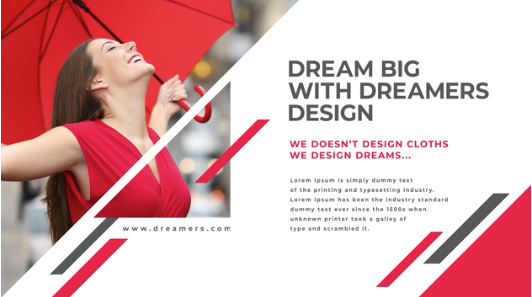 Stylish and fully editable, pre-animated lower thirds. You will need to subscribe to download this one but rest assured, it is free of charge! If you want to immerse yourself into the world of text and titles editing, we have a tutorial that you’re sure to appreciate here. With 14 titles and 13 image or video placeholders, this is one comprehensive opener. A busy but striking rolling design, perfect for showing off photographs. Contains 12 text and 13 video placeholders. A smart, fully color customizable design that adds a professional touch to your edit. In this template, you’ll find lots of text placeholders, for when you need to write a little more. Add some street-style flair to your logo. Three different backgrounds and editable text make this a raw, grungy style reveal. A catchy and fast logo reveal for a wow intro to any video! Works with HD footage. A modern, social media-oriented template that you can customize to suit you. A simple but funky logo reveal. Unfortantely, the color can’t be changed, but you can add your own logo and tagline. A bold, striking and fast-paced logo reveal. All in full HD resolution. A stylish tech-themed intro. There’s no text or logo placeholder here, so simply add your own text or logo over the top of it. A simple but effective background template. Just add text! A comprehensive, fully kitted out edit. Just add your photos, videos, and text into the template. A seriously comprehensive opener template with 25 media placeholders, 25 titles and a logo space … Free music included! High energy, in-your-face opener presentation! Choose from 7 titles and 18 placeholder timelines. If you’ve ever wanted to be in a comic, this is one you’ll want to play with. Drag and drop your pics or vids, and show it off to your friends! Use the coupon code ILoveOrange83 to get this one for free! 5 titles, 2 transitions, and a logo reveal. Everything you need to make a perfect video presentation! An efficient, two-timeline workspace for super streamlined editing! Get the cool Deadpool movie look for your next film. A stylish black and white edit with 21 placeholders, 15 titles and a logo reveal. Great for sports promo videos! A vibrant and animated edit that you can color code to suit your mood! Compatible with Premiere Pro CC 2017 and up. Not for beginners, this is an extremely high-end workflow featuring 20-something video and audio tracks. A mix and match of transitions, titles, logos, sound effects, and elements, all wonderfully distorted. For the kids or the kids-at-heart, a bright, fun template to add some joy to your video! 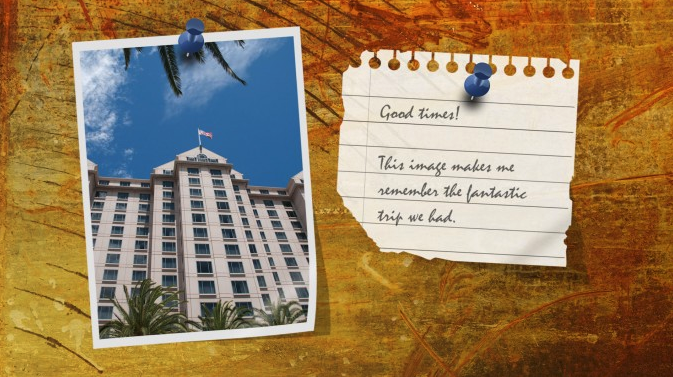 Stand out and get ahead of the masses with these stylish effects for your stories. A youthful, energetic design that will add some shine to your photo or video stories. A static but fun and effective way to communicate ideas through a template. Check it out! Two static camera point-of-view templates (one DSLR camera and one video camera). Great additions to any editor’s arsenal! 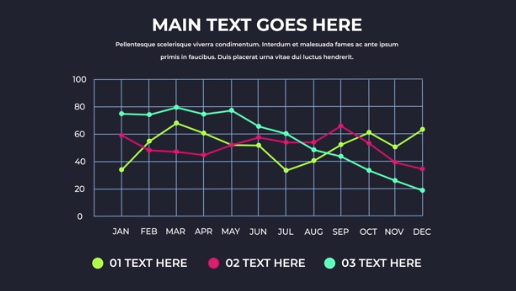 A great infographic template is always useful to have for showing stats in your videos. 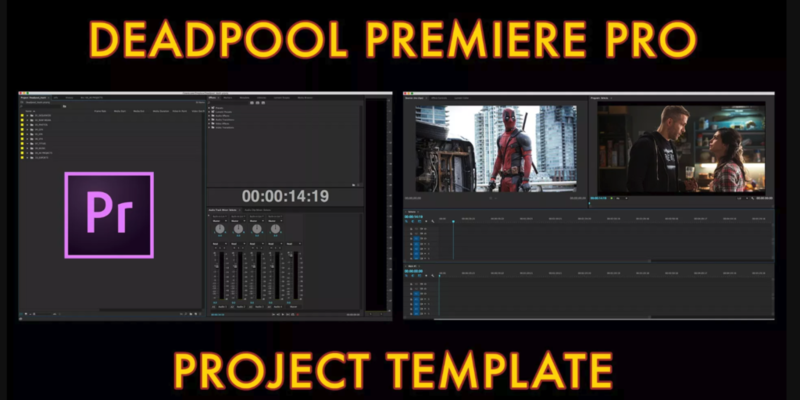 Just be sure to download the Premiere templates and not the AE templates. A perfect addition to any travel video production. This one is a project template and a tutorial on how to do the moving line. Use the coupon code to get a free download! Find your downloaded template and double click it to open. Locate the “Edit” folder under your Projects tab. This is where you can customize your template to your own liking. You will find Shots, Titles and Logos folders here, all with placeholders for you to edit. To edit text, open up the “Titles” folder. Note: The folder might be named something slightly different. Select and double-click a file to open the Editor, and change it to whatever you would like. The title names (Title 1, Title 2, etc) correspond to where in the sequence they pop up. Starting from the beginning, you can customize them as they go, and delete ones that you don’t need. To edit the media in the background (pictures or videos), open the “Shots” folder. Note: The folder might be named something slightly different. You should have the media you need for your template already saved in a separate folder. Create a new folder on your computer, place all of your media files in it, and drag and drop into your Projects tab under the folders mentioned above. From here, select the “Placeholder” you would like to replace with a media file, and drag-and-drop the file you want onto your sequence, either above the placeholder, or completely replacing it. To see the finished result, you need to get back to the main file. Do this by clicking on the “render” composition on your editing timeline, or clicking on the file under the “Final” folder. There you have it — 45 free, fun Adobe Premiere Pro Templates that are guaranteed to bring your video to life, and a quick lesson on how to get started using them right away. Get downloading, and let us know what your favorites are in the comments below!